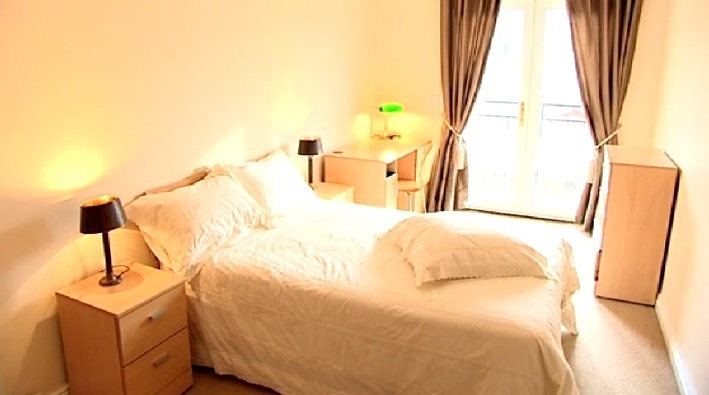 Double bedroom with ensuite bathroom. 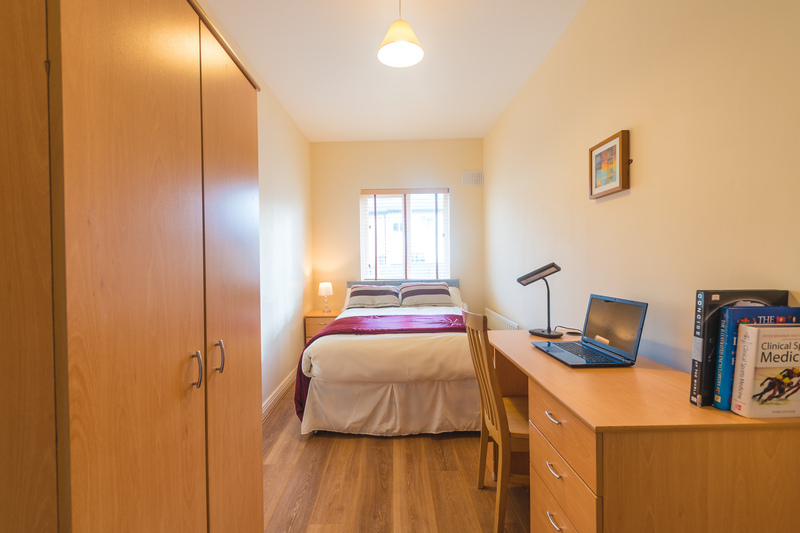 Room consists of Double bed, locker, double wardrobe, chest of drawers. Large study desk and chair. 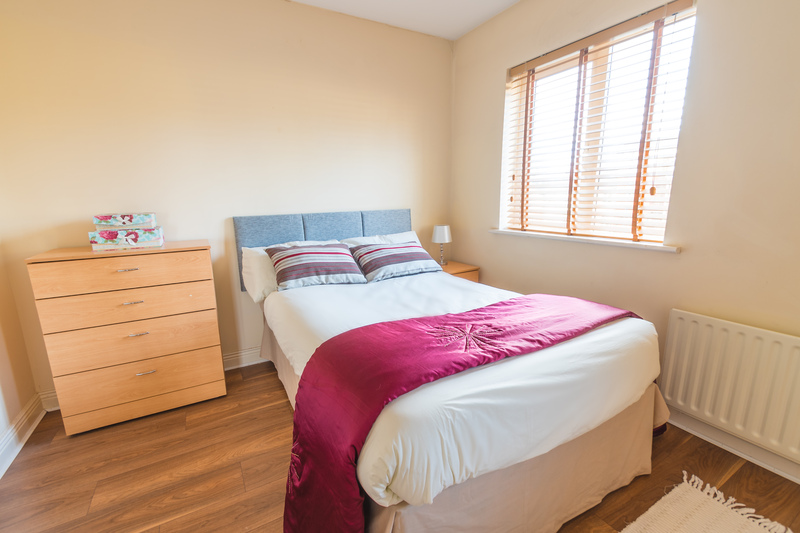 There is three double bed ensuite in each 4-bed house, two double bed ensuite rooms in each two-bed apartment and there are four double bed ensuite rooms in each five bedroom house.